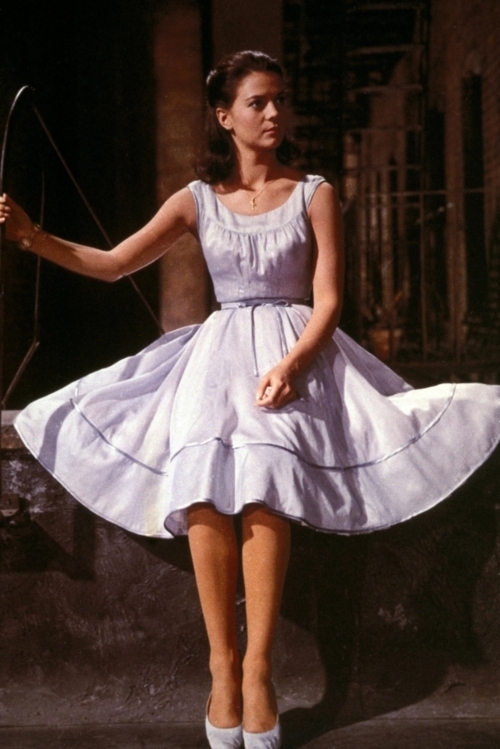 Maria in West Side Story. . HD Wallpaper and background images in the natalie wood club. This natalie wood photo might contain polonesa, polonês, polonaise, hoopskirt, crinolina, legal, da crinolina, and overskirt.